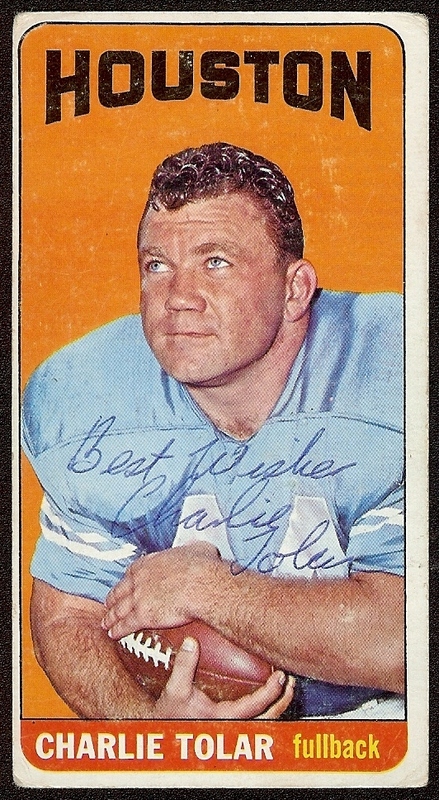 The early Houston Oilers had a number of high-caliber players on their offense. 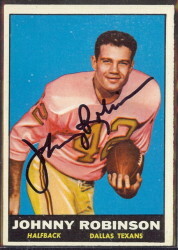 George Blanda, Billy Cannon, Charlie Hennigan and Bill Groman come immediately to mind. 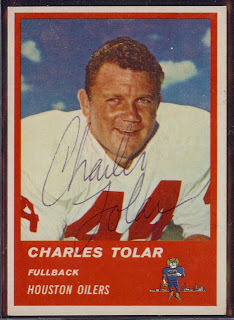 They also had a running back by the name of Charlie Tolar, who wrought havoc on AFL defenses with his short yet stout frame, and immeasurable toughness. 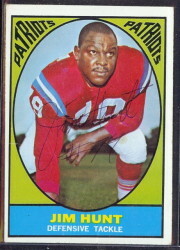 In the last 10 years, there have been a number of excellent books written about various subjects related to the American Football League. From team histories to player biographies, game reviews to works focusing strictly on the AFL-NFL merger, authors have been working diligently on bringing forth the rich history of the old AFL. 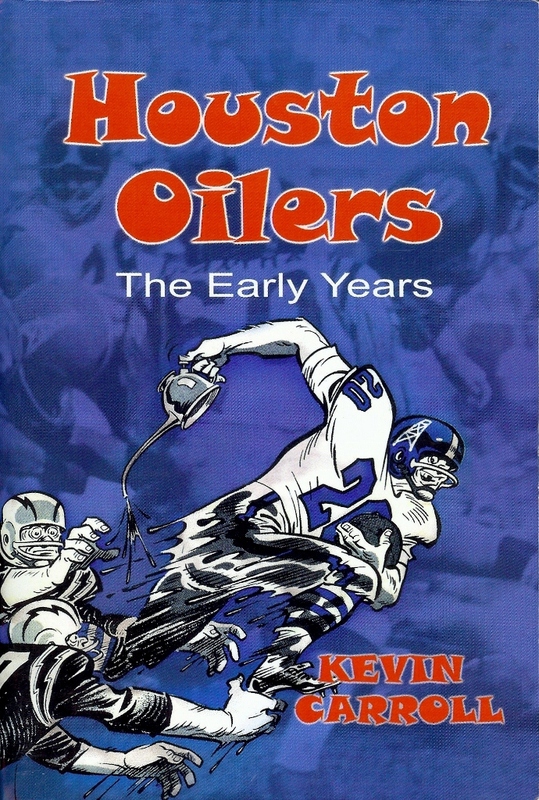 Though it is not new to my personal library, I have recently pulled out one such book that I particularly enjoy; Houston Oilers: The Early Years by Kevin Carroll. Houston Oilers: The Early Years, is a 277-page paperback issue that cover the Oilers franchise from inception in 1959 through their second AFL championship in 1961. 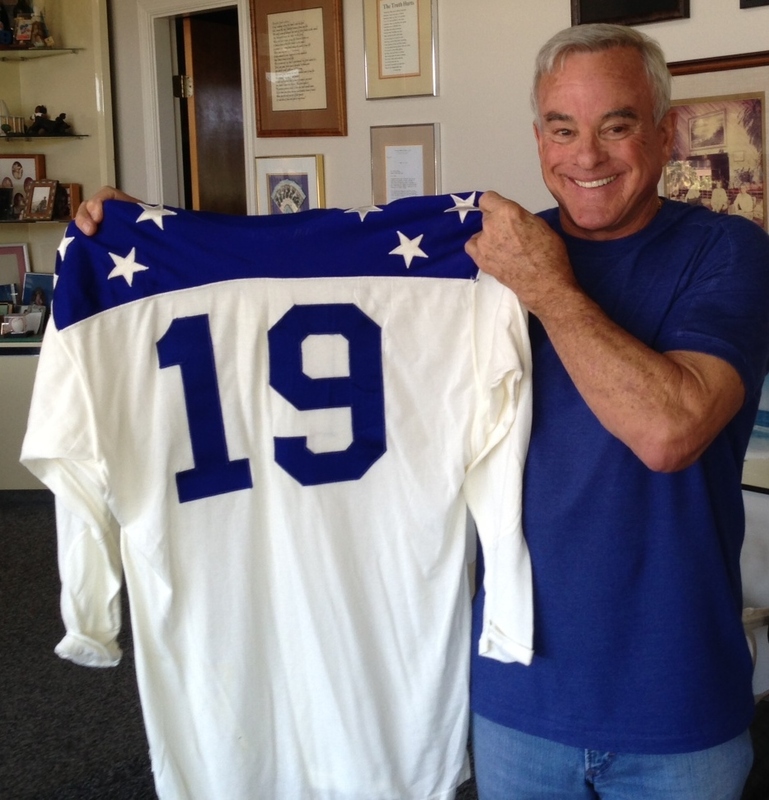 Interspersed throughout the story of the team’s formative years, author Kevin Carroll mixed in chapters dedicated solely to individual players, as well as to Coach Lou Rymkus and trainer Bobby Brown. In my mind, this book’s strength is the colorful stories of players and situations that do a fantastic job of giving the “flavor” of the AFL. 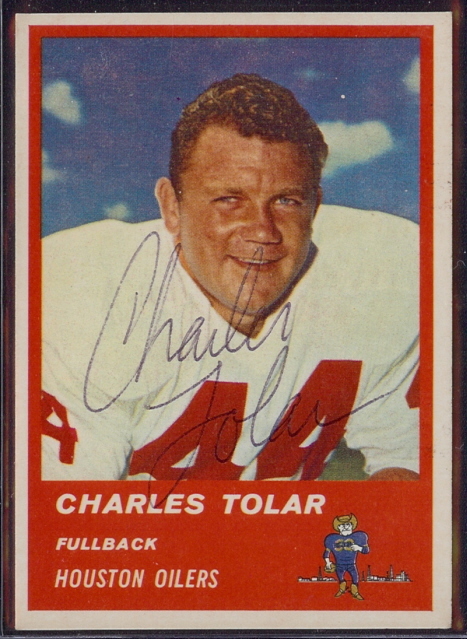 In describing bowling ball-shaped running back, Charlie Tolar, Carroll quotes an unidentified Oilers opponent as saying, “Tolar was so tough that when he ran you could hear clanking metal. 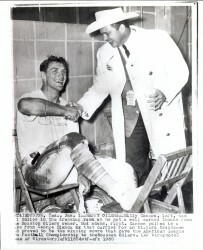 It was the sound of his testicles knocking together.” Carrol uses an equally-humorous story to illustrate the long-standing feud between Coach Lou Rymkus and the Chargers Sid Gillman. 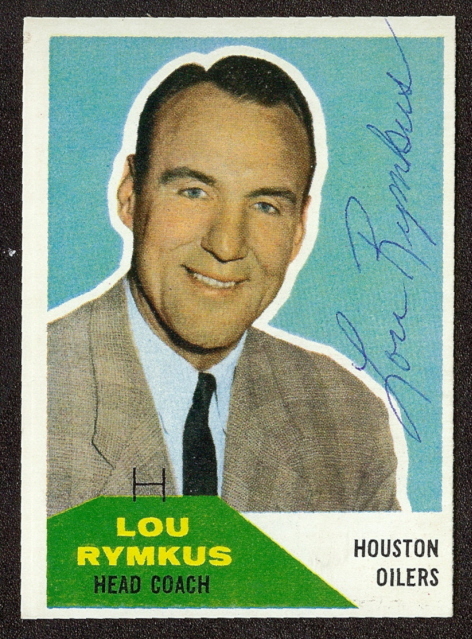 One Sunday morning, Rymkus and two of his players were coming out of a church service. “Isn’t it a beautiful morning!” exclaimed Rymkus “It sure is, Lou,” a player responded. 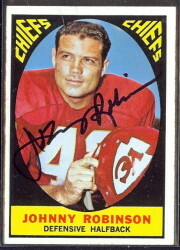 “And what a great day to play football!” Rymkus added. “Couldn’t be better,” replied another.